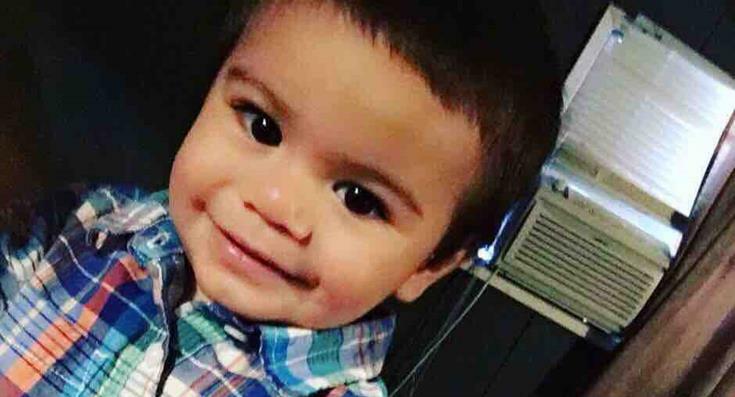 ROSAMOND – Authorities on Thursday released a cause of death for Abraham Meza — the 17-month-old Rosamond boy who was dead when his mother brought him to Antelope Valley Hospital on Feb. 28. “After a postmortem examination and further testing, the cause of death is sudden unexplained toddler death and the manner of death is undetermined,” stated a news release Kern County Sheriff’s Office – Coroner Section. No further information was released on the incident. Meza was officially pronounced dead at 1:41 p.m. Tuesday, Feb. 28, at Antelope Valley Hospital, authorities said. “Deputies learned the boy’s mother had brought him in to the hospital, however hospital staff determined the boy was deceased and it appeared he had been deceased for at least several hours,” according to a previous news release from the Kern County Sheriff’s Office. “Homicide detectives, along with a deputy coroner, responded to the hospital and examined the boy’s body, which displayed signs of trauma,” officials said in the prior news release. Detectives on Feb. 28 responded to the family’s home in the 1200 block of Rosamond Boulevard, and determined the home was unfit for children. Six children were removed from the home and taken into protective custody by Child Protective Services, according to the prior news release. An update on the six children was not immediately available Thursday. 20 comments for "Cause of death released for Rosamond toddler"
I also have to say we don’t know how long the woman waited at AV hospital before being seen… Let alone the length of time getting to the hospital…When I have ER visits it’s taken many hours before I have been seen..
Before anyone judges please understand we don’t know what happened and I do have to say the hospital had no right to disclose any information under an investigation ..The investigation is still going on..We don’t know the circumstances ..Please pray for the whole family.. Sad he is probably a victim of vaccine death. SIDS is a cover up for that. Hmmm….I wonder if the DPCS had been called on this family, before? Oh I read it CLEARLY all articles related to this case. As a nurse I can say SIDS DOES NOT give a child signs of trauma. Trauma is TRAUMA big difference from SIDS. And if the mother came into the ER with a limp baby thete is NO wait time, you go straight to the back. STOP making EXCUSES for POOR/NEGLECTFUL PARENTING! Homicide detectives, along with a deputy coroner, responded to the hospital and examined the boy’s body, which displayed signs of trauma,” officials said in the prior news release. What ever happened to Abraham Meza happened in his home. Toddler’s do not die suddenly with no cause, he died at the hands of someone in the home, if not his parents it is possible that another of the 5 siblings could have caused his death.If all the children were removed from the home deemed unfit, it is very possible these children were left to fend for themselves leaving Abraham vulnerable to trauma. All assumptions aside a baby lost his life, may he rest in peace, Little Angel. I can only hope the other 5 children receive proper care to live happier healthier lives. Sjds is infants. There is also the equivalent for toddlers. AV Haspital more dead kids huh? If you would have completely read the entire article, you would have read that the child was already deceased prior to arriving at the hospital! !